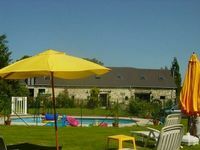 Lovely Gite in Beautiful Quiet Rural Setting. 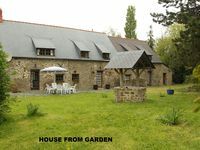 Property 7: Lovely Gite in Beautiful Quiet Rural Setting. Superb, comfortable gites. - 2 Gites. Le Rodin and Cezanne. Sleeps 4&4. PRICES QUOTED ARE PER GITE. Property 12: Superb, comfortable gites. - 2 Gites. Le Rodin and Cezanne. Sleeps 4&4. PRICES QUOTED ARE PER GITE. Cottage with Private indoor heated pool. .
Property 16: Cottage with Private indoor heated pool. .
House in the countryside with heated indoor pool. Property 17: House in the countryside with heated indoor pool. Comfortabel gite with super owner. Bikes available. Comfortable gite with super owner. Bikes available. We had a very nice stay. Short distance to nice towns that we did like to visit. We spent also a long time in the garden. The owner is very very helpful and we had very good informatiion from him.